Are you Bored of watching the IPL matches on a small TV screen ? 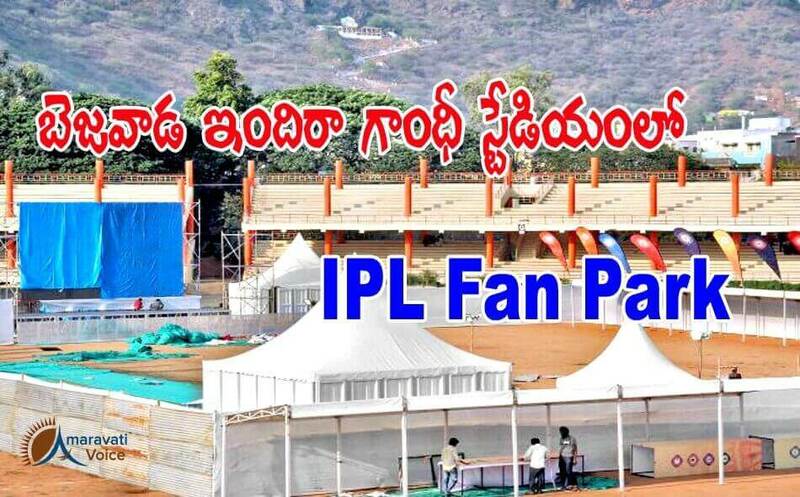 Here is an opportunity for Vijayawada citizens provided by BCCI to watch them on a huge screen during weekends. Fan Parks gives a thrilling experience to those who could not seen the match live in the stadium. A huge Sony screen of 32-foot-long and 17-foot-high would be installed. There will be food courts and organisers are conducting lucky draw, especially aiming at children. Vijayawada’s Indira Gandhi Municipal Corporation Stadium will screen matches on Saturday, Royal Challengers Bangalore vs. Gujarat Lions and Kolkata Knight Riders vs. Rising Pune Supergiants will be featured. On Sunday, Mumbai Indians vs. Delhi Daredevils and Kings XI Punjab vs. Sunrisers Hyderabad ties will be beamed. The entry for all matches is free. The gates will be open by 3 p.m. and the evening matches will start from 4 p.m.